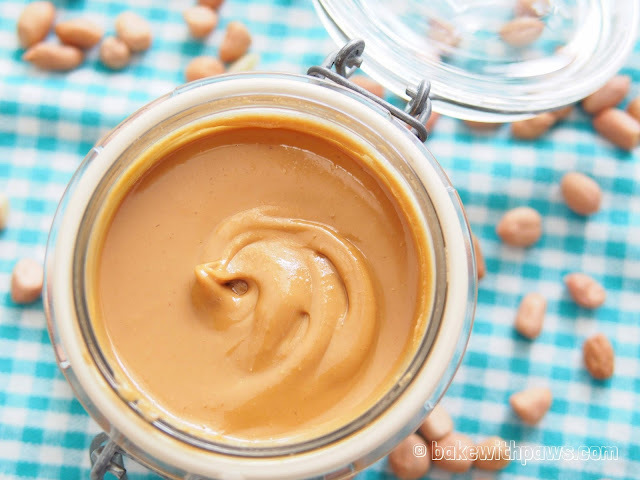 Some articles claim that store bought peanut butter contain trans-fat. I am not sure how true that is. I also found this article from National Peanut Board that you may find interesting. Whatever is it, homemade peanut is still the safest. Roast unshelled peanut in Philips Airfryer at 130C for 10 to 15 minutes OR spread unshelled peanuts in baking tray, bake in the preheated oven at 170C for 15 to 20 minutes. 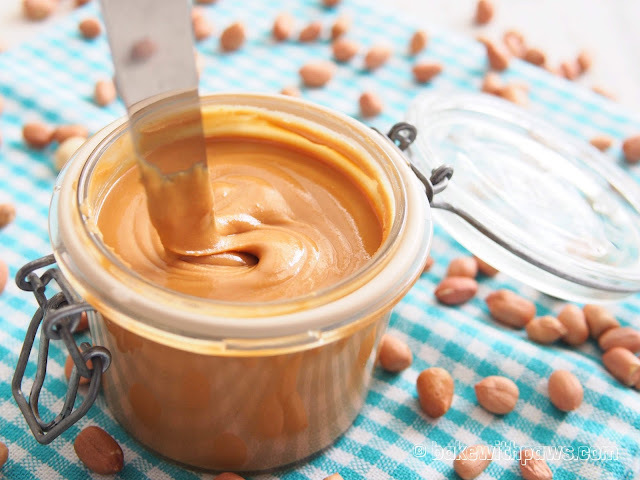 Remove peanut into a wide shallow dish or tray to cool completely. Rub in between your thumb and fingers to remove the skin and blow off the skin. Pour all the ingredients into the blender container and cover the lid. Turn the blender on and slowly increase to high speed. Push down the ingredients by using the tamper provided. Blend until it turns to peanut butter. It takes approximately 1 minute for Vitamix machine. Transfer to an airtight container and keep store in the fridge. May i know which brand of blender u use? Hi there, thank you for dropping by. I am using Vitamix.